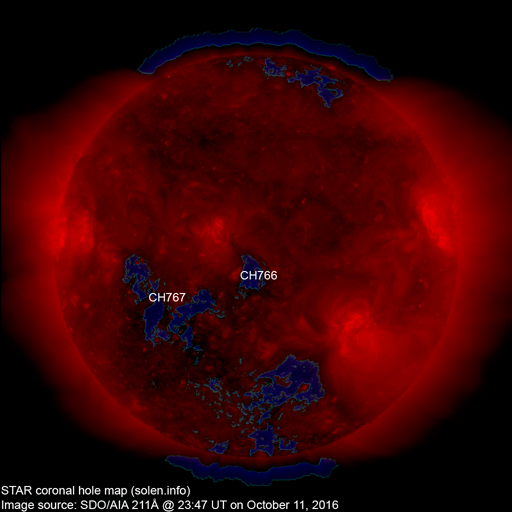 Last major update issued on October 14, 2016 at 03:50 UT. 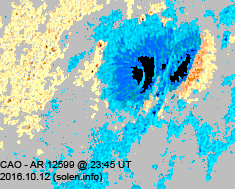 The geomagnetic field was unsettled to major storm on October 13 due to CME effects. 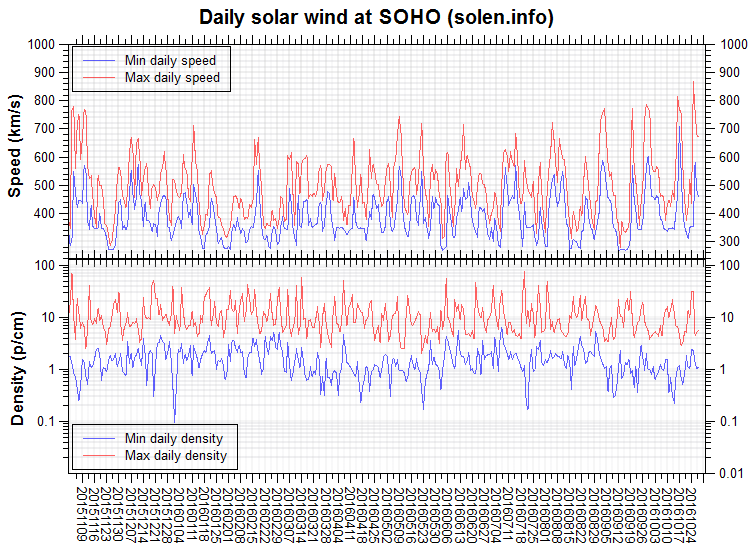 Solar wind speed at SOHO ranged between 349 and 478 km/s. 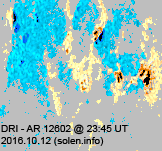 Solar flux at 20h UTC on 2.8 GHz was 95.3 (increasing 15.0 over the last solar rotation). 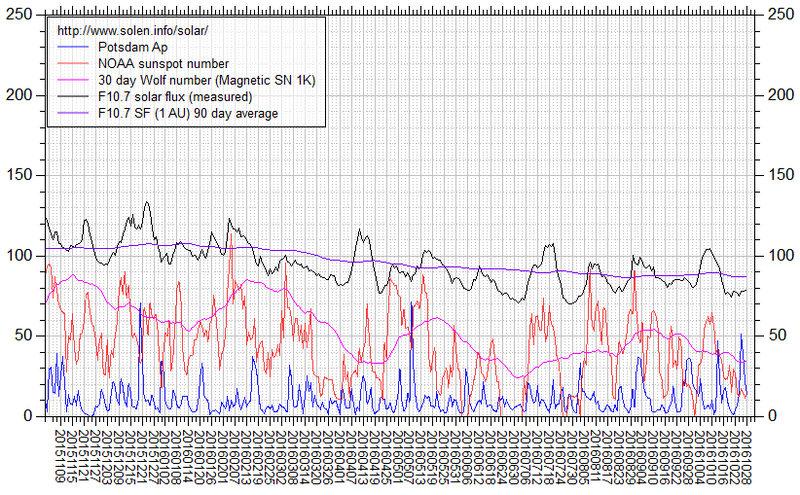 The 90 day 10.7 flux at 1 AU was 89.4. The Potsdam WDC planetary A index was 42 (STAR Ap - based on the mean of three hour interval ap indices: 41.6). 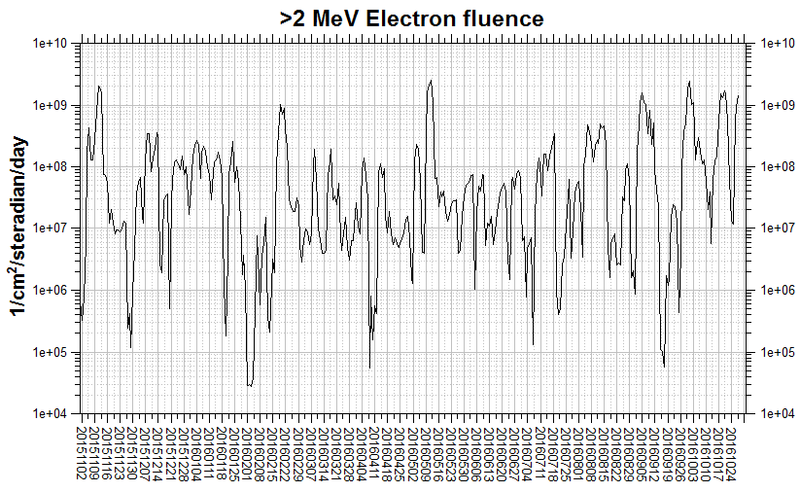 Three hour interval K indices: 33445665 (planetary), *****345 (Boulder). Region 12599 [S15W60] decayed slowly and was quiet. Region 12600 [N10W19] was quiet and stable. Region 12602 [N06E42] was mostly quiet and stable. 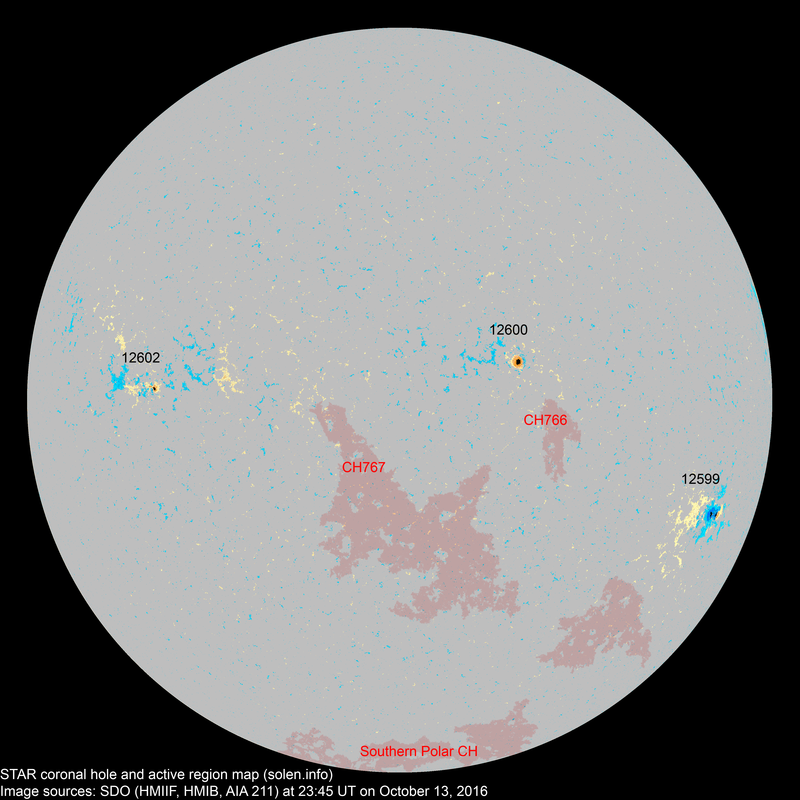 The geomagnetic field is expected to be quiet to minor storm on October 14 due to CME effects. Unsettled conditions are possible on October 15 due to effects from CH766. 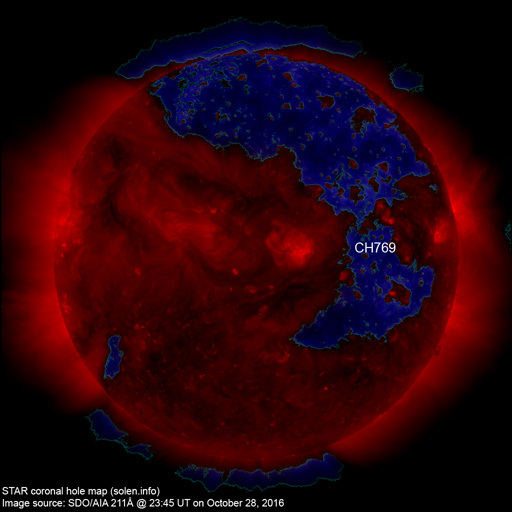 October 16-17 could see quiet to active conditions due to effects from CH767.